“Tea with the Little Women” was a Sheer Delight! WHAT A FANTASTIC EVENT! 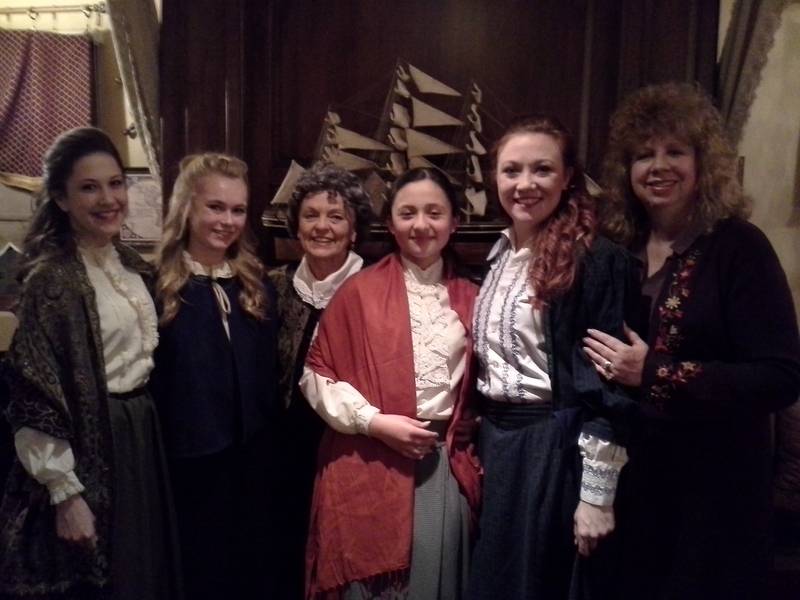 Last night was our “Tea with the Little Women” at the St. James Tearoom! Talk about Girl Power — we had almost 40 women and girls come out to enjoy delicious tea and delicacies with our actresses — Meg, Jo, Beth, Amy, and Marmee — in an absolutely gorgeous setting! And the crowd was delighted when our four Little Women did one of the most hilarious scenes from the whole show! Huge thanks to the St. James Tearoom for hosting this beautiful event and donating some of the proceeds to ALT! And huge thanks to the wonderful women of all ages who came out to support ALT and enjoy fantastic girl bonding! ← WE NEED YOU! PLEASE JOIN OUR ALT STREET TEAM!